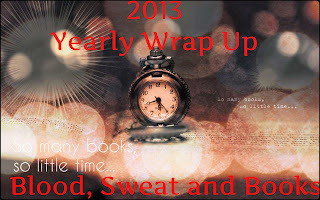 For my Final Trailer Tuesday of 2013 I want to take a look back at the past year and share my favorite Book Trailers released this year. As many of you know I love Book trailers and when done right they can create that much more anticipation and excitement for me in conjunction with the normal promotional stuff. I want to say a big Thank you to all the people who continue putting out High Quality Book trailers. I really appreciate the time, thought and creativity put into them and look forward to each new one I find. In no particular order, Here are my Top Ten Favorites of 2013. Learn More: Goodreads & IMDb I loved this film. Scarlett Johannson was just perfect as the innocent yet beautiful Griet. Plus the film was pretty faithful to the book which is always a bonus. Learn More: Goodreads & IMDb Even though I preferred the book this film is just too gorgeously shot to not be included on my list. Plus I loved seeing Richard Parker in the ''flesh'' interacting with Pi. Like many of you I love a good book cover. This year I've seen some that have truly been amazing. Believe me when I say making this list was not easy. Often when discussing books we discuss the content and the gorgeous covers but often forget to thank the artists who create them. So this post is for all the designers whose artistic talents gives us covers to oo and ah over all year round. Any of us who read books on a consistent basis will eventually find ourselves in the same predicament. So many books, so little time. We try to get them all in each year but sometimes it just doesn't happen. This year my list wasn't nearly as large as it was last year at this time but I still nonetheless had to whittle it down to the Top Ten that I really regret not reading this past year. As always I still plan to read these books in the future and you will probably see me talking about them quite soon but for now they either sit on a desk or Kindle neglected. So sorry you lovely books but I am only one person who just has not enough hours in the day to get to you all. Ominous Tour Grand Finale & Giveaway!! We asked the hosts: If you had a super-power, what would it be? "This book is so intense. I really enjoyed how everyone in the book seems to be so much more evolved than the last book. I love Lilli and Joel and the relationship that they have. It's a beautiful thing. 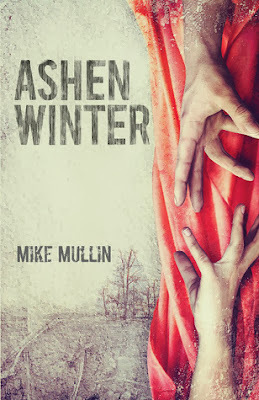 The author did a great job of helping me feel the connection those two had." To give you an idea of the person behind the writer I’ve asked Cerece to answer the following question without thought. Go to All That's Written for the rest. - Kelly P's Blog - Excerpt super-fast healing!